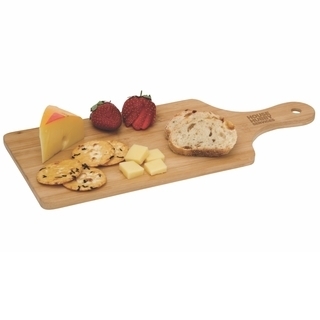 Le Gourmet, crafted from 'eco-friendly' bamboo is supplied laser engraved with your logo. Packed in a natural coloured gift box it makes the ideal cost-effective gift. Because of the unique nature of bamboo, the product and engraving colour may vary from item to item. As this product is hand crafted, Le Gourmet may differ slightly in shape and size.